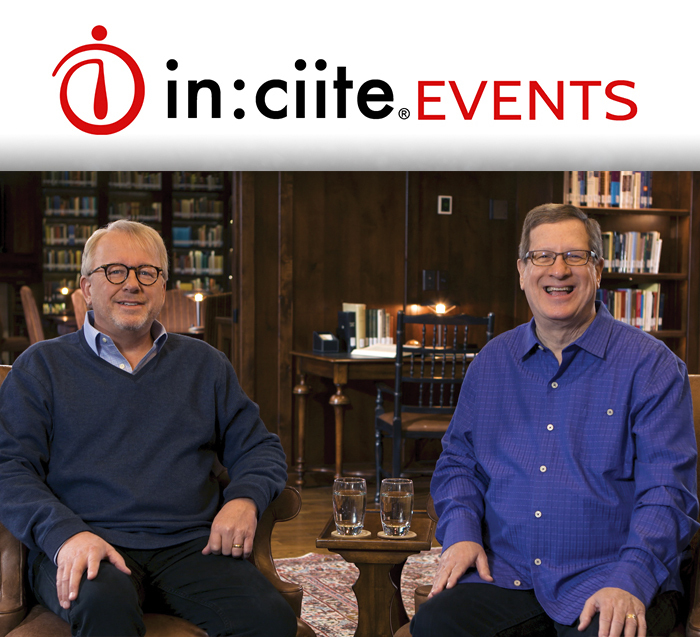 Last year WOC hosted “The Case for Christ” live simulcast with Lee Strobel. He retraced his spiritual journey from atheism to faith by showing how the evidence he obtained from experts in the field of history, archaeology, and ancient manuscripts led him to the verdict that Jesus truly was the Son of God. 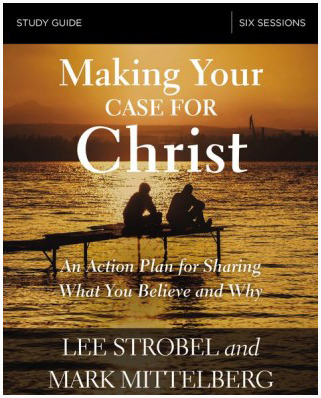 Now, Lee Strobel and author, Mark Mittelberg are back with a new event, “Making Your Case for Christ; An Action Plan for Sharing What you Believe and Why. ” Making Your Case for Christ is designed to help Christians, both young and old, understand and articulate the message of Christ along with evidence that backs up his claims and credentials. This event is broadcast via webcast. You do not need any special equipment other than a high speed internet connection, a computer, and a visual receiver such as a TV or projector to display the event. What type of support does in:ciite offer prior and during the simulcast? in:ciite will provide support prior to the event as well as during the event. in:ciite also sends email newsletters to keep you up to date on important information. PICK YOUR DATE, PICK YOUR TIME, AND HOST THIS INCREDIBLE EVENT. ABOUT LEE STROBEL AND MARK MITTELBERG. Lee Strobel was the award-winning legal editor of The Chicago Tribune and is the bestselling author of The Case for Christ, The Case for Faith, The Case for a Creator, and The Case for Grace. With a journalism degree from the University of Missouri and a Master of Studies in Law degree from Yale, Lee has won four Gold Medallions for publishing excellence and coauthored the Christian Book of the Year. He serves as Professor of Christian Thought at Houston Baptist University. Mark Mittelberg is a best-selling author and international speaker. His books include The Unexpected Adventure (with Lee Strobel), The Questions Christians Hope No One Will Ask (With Answers), and Confident Faith. 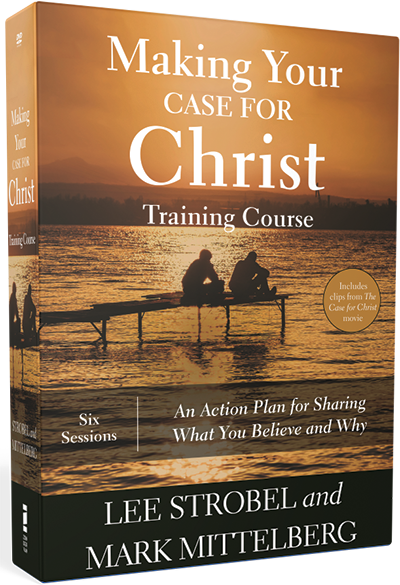 He is also the primary author of the award-winning Becoming a Contagious Christian training course (with Lee Strobel), which has been translated into more than 20 languages and used by more than 1,500,000 people around the world. In this six-week video training course, Lee and coauthor Mark Mittelberg will outline an action plan for sharing what you believe and why. Special pricing available. Six-week training course used to equip your church with practical tools to train participants in sharing their faith. 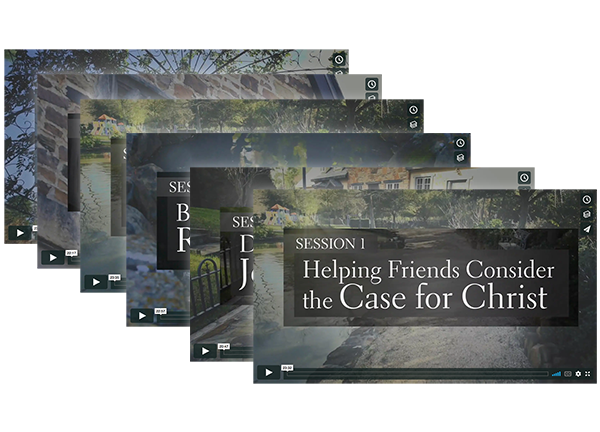 For a limited time, with the purchase of the training course, your church will have streaming video access to the 6 video sessions of Making Your Case For Christ on Study Gateway!